Ozone Therapy Generator with TESLA TECHNOLOGY for Sale! 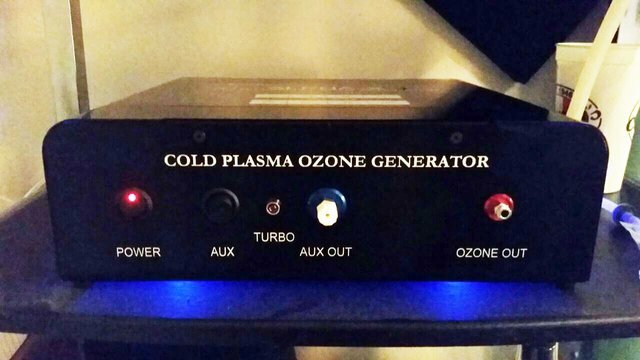 Come and get the Alpha-X Ozone Generator! I have an exclusive wholesale arrangement with Ozone Purity and I am able to offer these High-quality Ozone generators for only $2000 (retails for over $3k). Don't let this opportunity pass! Read all about the benefits of ozone by Ed McCabeand find out why Oxygen is SO IMPORTANT to staying healthy! I've been using Ozone therapy since 2015 and I tell ya, it feels like you just came down from a mountain top after doing an ozone sauna. It gives me more energy and ozone kills the antibodies that crave alcohol. I literally walked away from my beer. I never wanted to stop drinking, but ozone just puts you on another where you just don't need it. NO VIRUS or BACTERIA can survive in an oxygen rich environment. What Makes the ALPHA X Superior? The Alpha X utilizes a cold ozone process called cold plasma. This method provides little to no heat while providing stable calibrated ozone concentrations. The ozone production cells are made from medical grade ceramic which provides much better dielectric properties than quartz glass. Ceramic also sheds heat resulting in stable, ultra-pure ozone production. The Alpha X produces virtually no noise which means the power transformer inside the ozone generator is operating efficiently. Ozone generators that are loud and noisy are inefficient and also produce excess heat. Since the Alpha X produces low noise it is great for people who treat ears with ozone. The Alpha X utilizes dual ozone output ports on the front of the generator. The first port is the past through port which allows ozone simply passes through the ozone generator to applications like water or saunas. The second ozone port can be turned on and off to redirect the ozone to a separate application. The second port can be used to extract small amounts of ozone for filling syringes or other gas filling applications. Makes filling syringes with ozone gas simple and easy with the press of a button. The Alpha X turbo mode gives the user a boost of ozone concentration for therapies that require a higher concentration. Simply turn turbo mode ON or OFF for ease of use. Great for sauna, water, and oil applications. The oxygen port is located on the back of the ozone generator. This keeps the oxygen line out of the way so the user can efficiently operate the machine.